Ruth Bowen, founder of The Bowen Agency Ltd., passed away in New York City after battling a brain tumor. Bowen was the first black female booking agent and first black female to establish a theatrical booking agency. For 55 years, Ruth Jean Bowen-Bryant booked and guided the careers of some of the most well-known and successful entertainers in the world. Bowen’s musical journey began in 1944 when she met and married William "Billy" Bowen, one of the original Ink Spots, a group known as one of the first black entertainment acts to break the racial barrier. While traveling and handling her husband's business affairs, he introduced her to Dinah Washington, known as “Queen of the Blues.” Soon after their first conversation, Dinah offered Bowen a job as her publicist. Bowen accepted and in no time she was handling the blues/R&B/jazz singer’s publicity and management. 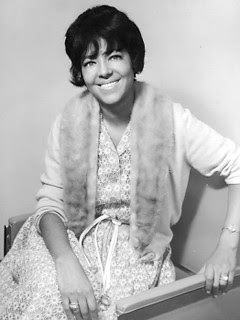 Dinah insisted on Bowen obtaining her booking license and in 1959, with the help of her lawyer (former New York City Mayor David Dinkins), Bowen founded Queen Booking. Once established as an agent, her agency grew rapidly, with Dinah Washington as her best salesperson. As Dinah performed and traveled across the country, she met other artists that needed Bowen’s expertise. In the beginning, Queen Booking started booking acts at the Howard Theatre in Washington D.C., the Apollo Theatre in Harlem and the Regal Theatre in Chicago. When Dinah Washington died in 1963, Queen Booking was only a few years old, but in 1964, Bowen expanded the business which became Queen Booking Corporation (QBC). The roster and staff grew, and in 1969, QBC had become the largest black-owned entertainment agency in the U.S. - if not the world - with a roster that included a who's who in entertainment including “The Queen of Soul” Aretha Franklin, Ray Charles, Sammy Davis Jr., The Isley Brothers, Dionne Warwick, The Four Tops, Kool and the Gang, Bobby Womack, Teddy Pendergrass, and a host of other top black singing stars. In the same year, Bowen was recognized as one of the country's outstanding black women achievers. Ruth Bowen-Bryant departed this life on Monday April 21, 2009 leaving her husband Billy, brother James Edward Goode and sister-in-law Jean, as well as a host of nieces, nephews, cousins and loving friends. Services are scheduled to be held in New York City (see below). In lieu of flowers, the family is requesting donations be made to the Rhythm & Blues Foundation. Checks can be made payable to: Rhythm & Blues Foundation sent in care of The Bowen Agency Ltd. attn: Mr. Gary James, 301 E. 79th Street, New York, NY. 10075. All checks will be presented to the foundation upon receipt.